Like me and many other listeners to the show you probably thought that the ACME company were the purveyors of extraordinary devices and inventions in the Bugs Bunny and Road Runner cartoons. Who doesn’t remember the ACME jet propelled unicycle or the ACME patented earthquake pills? 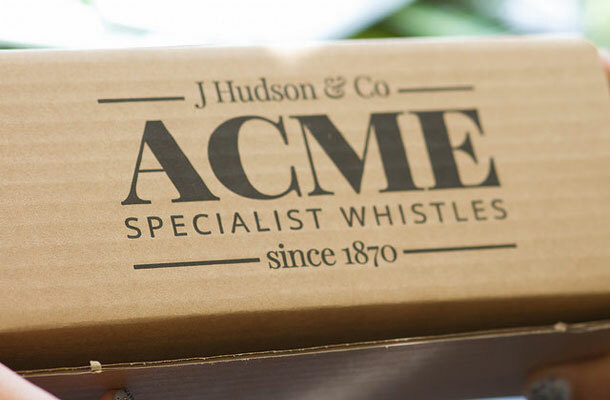 Although the name ACME can be associated with the Looney Toons, it came as a surprise to me that the ACME is a real UK company specialising in whistles. Established back in 1870 the ACME Whistle Company was created by Joseph Hudson, a Birmingham toolmaker who manufactured snuff boxes, cork screws and whistles. With several patents to his name, dating as far back as 1897, the whistle business was relatively small. That was until the Metropolitan Police decided to replace their cumbersome rattles with something more flexible. Joseph had the ideal solution and invented a new whistle with a distinct and far reaching sound that left the hands free for apprehending and arresting criminals. Since then the ACME Whistle Company have gone from strength to strength, with over 40 patents to their name. Their whistles are used in many sporting arenas, life saving products and can even be heard on several pop singles, such as the Beach Boys song “Heroes and Villains”. With exports to over 119 countries, the research and development unit are continually looking to improve performance and design. The whistle range now include, duck call simulators, orchestral whistles, silent dog training whistles and train/cuckoo simulators. ACME also supplied the original whistles on the ill-fated Titanic ocean liner and surviving examples fetch high prices at auction. 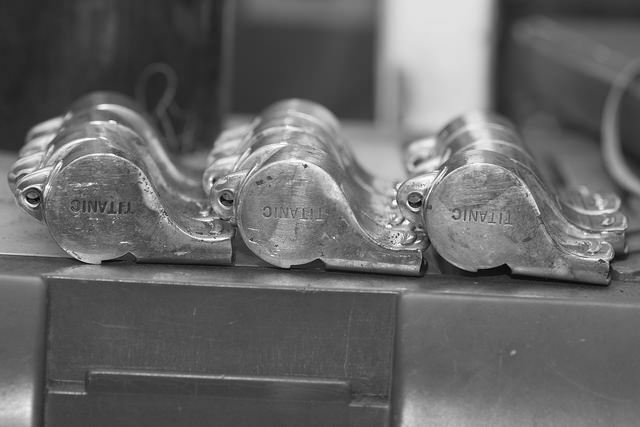 Still based in the jewellery quarter in Birmingham, the company manufacture around 5 million whistles per year and with fierce competition are still the market leaders. The song ‘Whistle While you Work’ was written by Frank Churchill in 1937 for the Disney movie, Snow White and The Seven Dwarfs. The dwarfs made the notion of whistling while you work popular as they carried out their task of sweeping the room. To this day people still whistle at work, often much to the annoyance of workers around them. When Otis Redding recorded (Sittin' On) The Dock Of The Bay, he didn't have a last verse written, so he whistled it. Anyway you know how to whistle, don't you? You just put your lips together and blow.